"It's very tight, as tight a margin as you could imagine, but it was a penalty." Man of the match Rhys Webb: "We knew we were one performance away from winning a game, they have been down to fine margins every week. "We showed glimpses of what we can do and there is more to come from us. You don't become a bad team over night." Wales captain Alun Wyn Jones: "We owed that to the Welsh people and to ourselves. We haven't done ourselves justice in the last two games." These boys are going to be so sore for next week's game. At some of the breaks in play, you wondered how they were going to carry on. What a win for Wales! It all but ends Ireland's chances of winning the Six Nations and ensures that the spotlight shining on England v Scotland remains doubly bright. Ali Mason: Potentially one of the best defensive performances I've ever seen. Ireland steal the scrum as we tick into over time. Play rumbles on. Wales were a world class team playing badly. And they've absolutely produced the goods today. A few crucial line-out steals and the enthusiasm from their back-row is phenomenal to see. Wales have made 155 tackles, Ireland 150. There's not a man out there in good shape as replacement Tommy Bowe has to leave on a motorised cart. He wears the look of a 33-year-old who knows he may not have many more of these in the tank. Tom Miszkowski: Licking my lips at the prospect of Halfpenny, North, Sexton, Itoje, Vunipola, Farrell et al hooking up in NZ this Summer. What a game of rugby this has been. The scoreline suggests a comfortable win for Wales but that's not the word I would use. 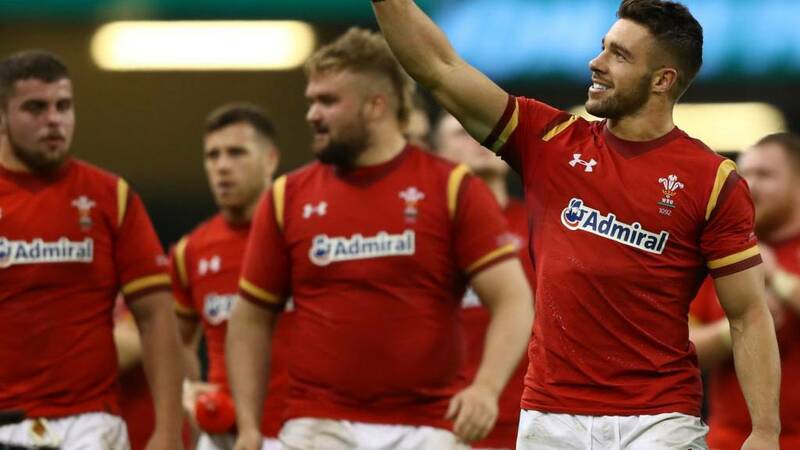 Immense defence shown from both sides in large spells, and Wales have found their cutting edge this evening. Leigh Halfpenny adds the extras and that will be that. Fresh legs in Taulupe Faletau. Sexton has tried every pass in the book to unlock this defence. He tries the little chip but Faletau gets to him and Roberts is the try-scorer. Roberts wins it for Wales! Johnny Sexton eventually runs out of options, he goes for the kick from deep in his own 22, desperate to find a way out, he's charged down by one replacement Taulupe Faletau and it's gathered in by another, Jamie Roberts. He hasn't got a clear run in but does enough to bundle his way over the line. And that's the win!